Just like accidents and collisions that involve semi-trucks and motorcycles, accidents that involve boats usually result in critical or sometimes fatal injuries. The injured party is stuck with a multitude of expenses while on the long and arduous road to recovery. The healing process from such injuries is often excruciating, and the goal of the boating accident attorneys at Johnson Law Office P.A. is to ease that financial burden so the injured person can heal without the added stress of looming medical expenses. The expert boating accident attorneys at our personal injury law firm know how the marine laws work in the state of Minnesota and they know how best to apply them in order to best benefit our clients. With more than 10,000 lakes in the beautiful state of Minnesota, it's no surprise that there are more registered watercraft per person than in any other state in the United States. Personal watercraft like Jet Ski or WaveRunner are very popular and have increased recreational boating and caused a higher level of water traffic volume than in previous years. With the higher volume, however, comes a significant increase in the risk of boating accidents and injuries, as well. While there are many different reasons boating accidents, there are three main causes that are commonly seen. One factor is an intoxicated operator. Many people go to the water for parties, and if the boat operator is partying and becomes intoxicated, the risk of accident and injury is very high. Sadly, more than a third of the boating accidents, both fatal and non-fatal, are alcohol related. If the boat operator's blood alcohol level is .10 or higher, it is estimated that person is 10 times more likely than a sober operator to be in an accident and either severely injured or killed. The other two common factors are having an inexperienced boater operating the watercraft, or having some type of malfunction occur. 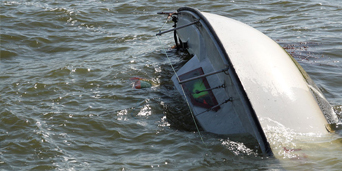 In Minnesota, there are three most common types of boating accidents. These include collisions with other boats, collisions with personal watercraft, or a collision with a swimmer. Given the number of people who go swimming from their boats, it's not a surprise that boat decks tend to be wet and slips or falls can easily occur on the surface. Boats can also sometimes sink or tip over, or a fire or explosion can happen on a boat. You should seek counsel from our boating accident attorneys if you are the victim of a boating accident involving one or more boats. Boating accidents often result in severe injuries, including broken bones, back, neck or spine injuries, head injuries, or even unfortunately, a fatality. The boating accident attorneys we have in our accident law firm have extensive experience representing victims of boat accidents, including those who have received personal injuries, as well as wrongful death cases throughout the state of Minnesota. Your and your loved ones' personal health and well being must come first, especially if you or your loved ones have been in a boating accident and are trying to recover. Contact our personal injury attorneys Johnson Law Office. We will take care of everything so you can focus on getting well again. Allow us to handle things and reduce your stress, so your body can recover quickly and completely. Feel free to contact us with any questions regarding Minnesota law and boating accidents. We are conveniently serving clients throughout the seven country metro area of Minnesota, including Lake Elmo, Bloomington, Maple Grove, Roseville, St. Louis Park, and throughout Western Wisconsin.